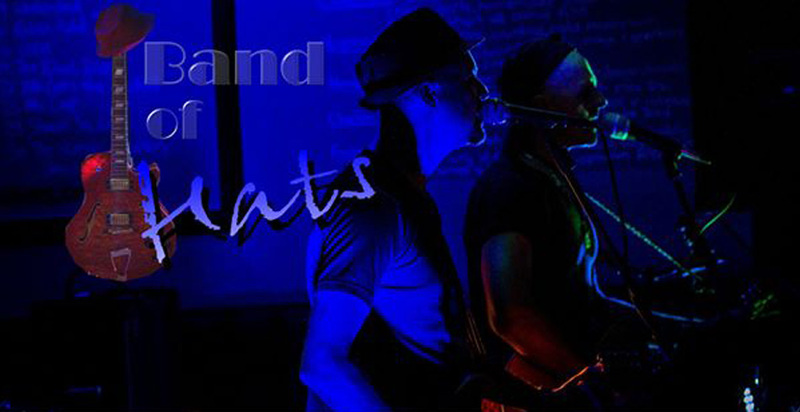 Band of Hats is an experienced party / cover duo performing a fusion of styles from standard classics in a modern style to entertaining impressions of Jazz, Blues, Reggae and the Rock greats of our time. Paul and Michael have twenty years of professional performing experience in the entertainment industry and have been together as 'Band of Hats' for 10 years. As singer-songwriters they have individually recorded several original albums. With more than fifteen years of professional performing experience, Band of Hats is currently also involved in projects which promote education and sustainable living skills. New audiences, friends and fans are always taken in by the showmanship and extensive versatility of the music repertoire that keeps Band of Hats in demand for any occasion. Having been exposed to a rich musical heritage, their sound encompasses many genres and appeals to both old and younger generations. Their cover repertoire includes popular rock, reggae, RnB, soul, folk and blues hits. Alongside other collaborative artists Paul Q and Michael have staged several successful musical tributes to legendary artists, Bob Dylan, David Bowie and Bob Marley in theatres and show venues. Recently their joint participation in the Staying Alive tribute featuring the music of the Bee Gees was performed to sold out audiences in the Deep South. Band of Hats recently opened for The Parlotones at their first ever concert in Montagu.